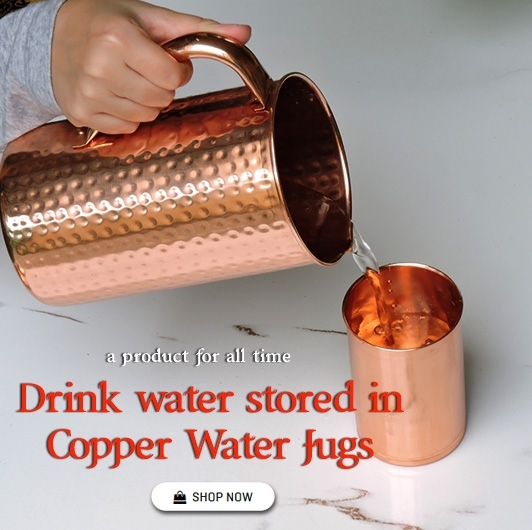 The ancient medical science, Ayurveda, recommends storing water overnight in pure copper jugs or other copper utensils and consuming this copper infused water as the first thing in the morning. This water is called Tamra Jal and is known to balance the three doshas in the body i.e. the vata, kapha and pitta. Apart from that, there are other properties of copper as well which makes it a must try remedy. It is antibacterial- when contaminated water is stored in a copper vessel for up to 16 hours at room temperature, the volume of harmful microbes get reduced dramatically. It is the oligodynamic nature of copper which helps with killing the bacteria and other microbes. In fact, due to the antimicrobial nature of copper, it is used in hospitals and medical facilities to make door knobs, bed rails, stairway rails, etc. A study performed has established that copper-surfaced objects had comparatively less amount of bacteria as compared to a surface which is not copper plated. It stimulates the brain- Our brain works by transmitting impulses from neuron to neuron through synapses. The neuron is covered by a sheath called the myelin sheath and works as a conductive agent and help flow impulses. Copper is important for the synthesis of phospholipids which are crucial for the formation of the myelin sheath. This makes your brain function much faster and efficiently. 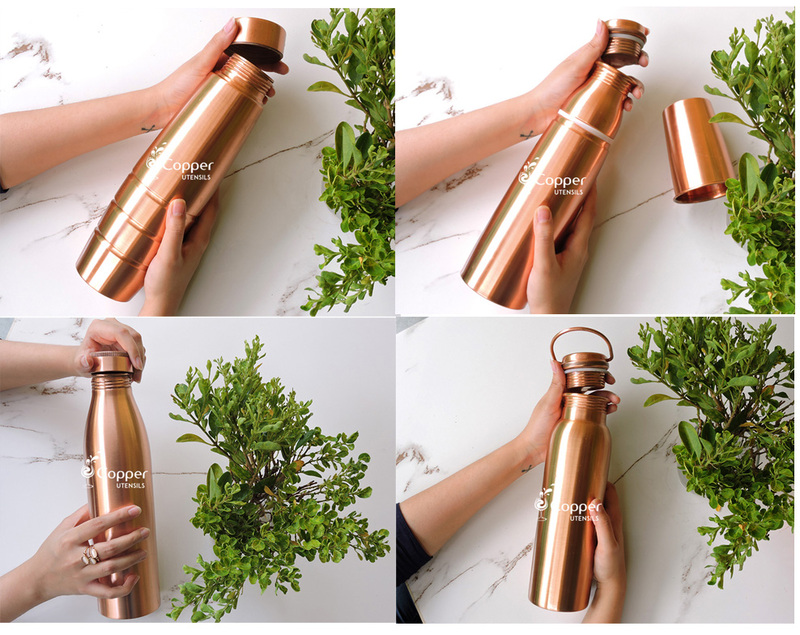 It helps with weight loss- If you are unable to lose weight with just your diet, try drinking water stored in a copper utensil such as a copper water bottle. It not only improves the digestive system, but also helps the body to break down fat and flush it out of the body efficiently. It slows down aging- If you are concerned about fine lines and wrinkles appearing on your face, then copper treated water is a great remedy for you. The copper helps fight off free radicals, which is one of the main reasons for the formation of fine lines. It also helps with the production of new skin cells to replace the old dead ones. It is anti-inflammatory- The anti-inflammatory properties of copper help in relieving from arthritis and other inflammatory pains. This property is very useful to relieve aches and pains as a result of inflamed joints. 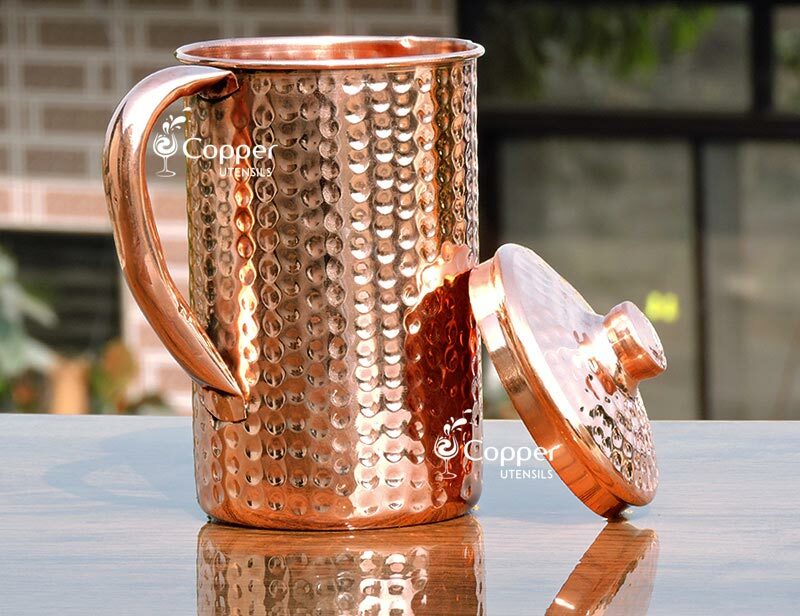 Copper also helps with boosting the immunity and bone health, which makes copper treated water the perfect remedy for reducing the effect of arthritis.